Had a lovely day out on the water – missed the sun earlier in the day but it didn’t really matter. 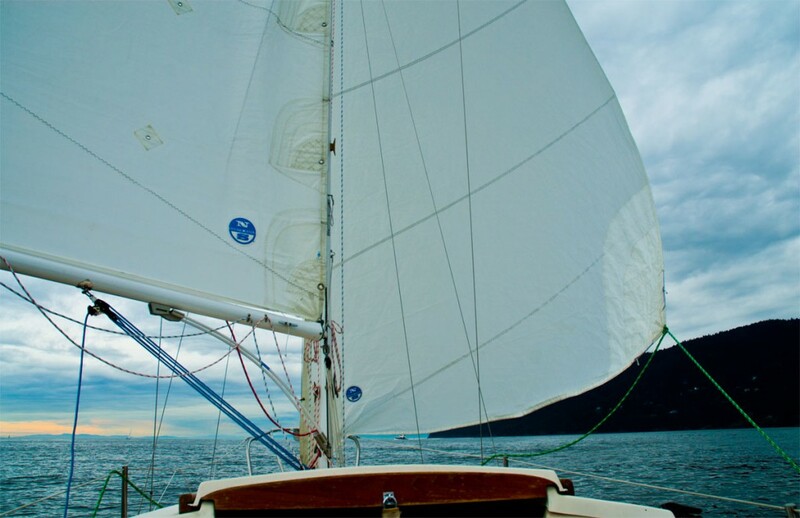 A light northerly outflow from Howe Sound made for a leisurely pace – just a few other sailboats out in the sound enjoying the day. Heading dead down for a bit on my way back to Fisherman’s Cove after beating up the sound for a ways. Thunderbird Marina in West Vancouver (at Fisherman’s Cove) looking pretty lovely this afternoon.